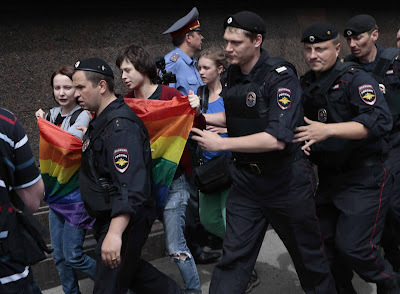 On Saturday, Russian police detained dozens of gay activists in central Moscow, imposing the city's ban on gay rights demonstrations. 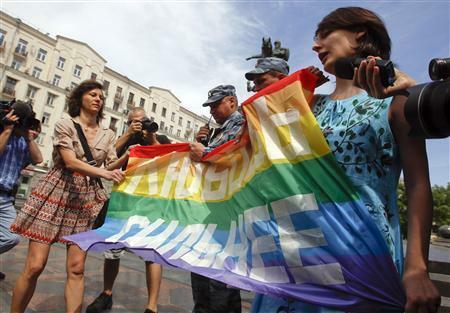 The activists tried to unfurl banners denouncing Kremlin's anti-gay legislation in front of Duma, the lower house of Russian parliament. 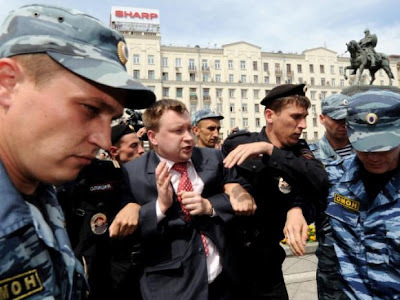 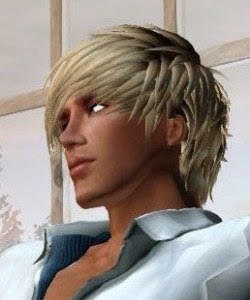 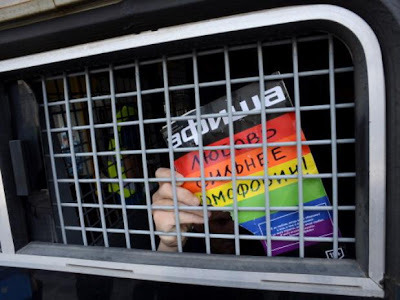 Among those arrested was Nikolai Alekseev, one of the main leaders of the LGBT social movement in Russia, who was punched in face during his arrest by one anti-gay. 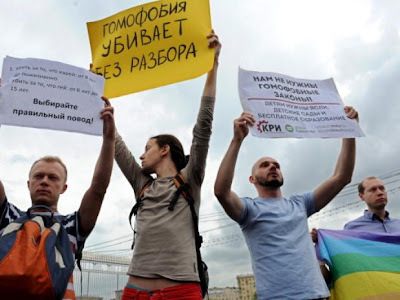 Russian parliament has approved a bill to a ban on events and information about the LGBT community targeting minors, which critics say would effectively ban gay rights demonstrations and any public event. 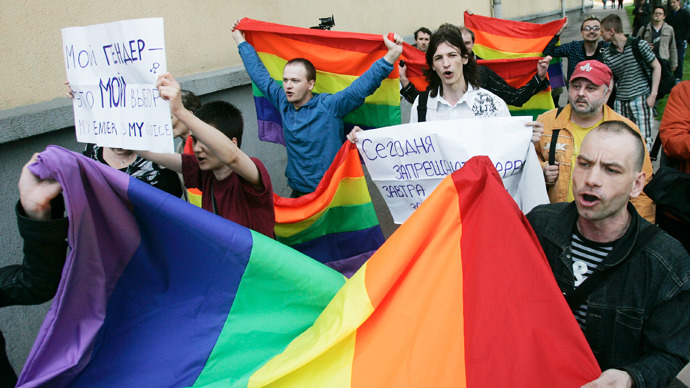 Russia decriminalized homosexuality in 1993, but homophobia remains strong in the country. Despite Russian Constituion guarantees freedom of speech and assembly, Moscow authorities have repeatedly rejected requests by LGBT activists to celebrate a parade in the city. Government critics and gay rights activists claim that the Kremlin and the Orthodox Church encourage anti-gay protesters groups to attack gay rallies and parades. 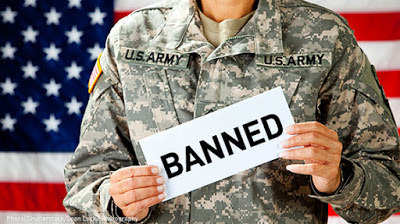 Why are people being muzzled this way? 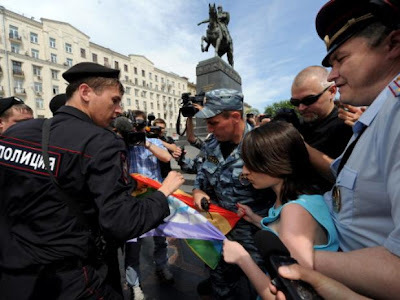 We all have the right to enjoy what the other man is enjoying.